Toshiba has unveiled two additions to its Satellite range – with the Satellite L450 and 699 Satellite L555 announced to coincide with the arrival of Microsoft's Windows 7 on 22 October. The two laptops are "aimed at consumers looking for affordability without compromising on style and performance," according to Toshiba, with the L450 price set at £329 and the bigger L555 costing £699 – presumably on the upper edge of 'affordable'. Toshiba's 15.6-inch Satellite L450 comes with a 16.9 TruBrite HD display, up to half a gig of storage, up to 4GB of RAM and is powered by an Intel Celeron T3000, AMD Athlon, AMD Sempron SI-42 or an AMD Turion Dual Core processor. There's an HDMI port, three USB 2.0 ports and it comes with a brushed silver finish. And, as you may expect it comes with Windows 7 Home Premium installed. 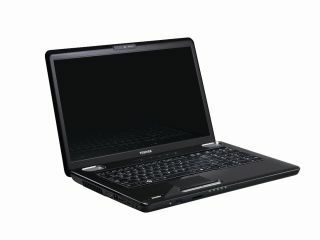 The 17.3-inch Satellite L555 comes with an Intel Core 2 Duo processor, although Toshiba's release also suggest there is an unnamed AMD option. HDMI-out, and eSATA connection and three USB ports are present, alongside Windows 7 Home Premium, ATI Mobility Radeon HD4650 graphics card and up to half a gig of storage.